There is currently just the 1 ferry route running between Montenegro and Italy operated by 1 ferry company – Jadrolinija. The Bar to Bari ferry crossing operates weekly with a scheduled sailing duration from about 7 hours 30 minutes. 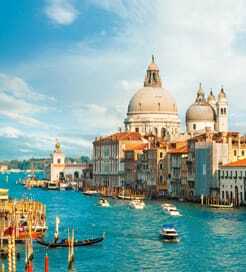 Whilst we’ve taken great care to ensure the information on this page is correct, as the frequency and duration of crossings on all routes can vary from time to time we’d advise that you get a live quote for current availability on this Montenegro Italy crossing between Bar and Bari. 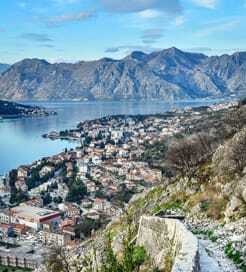 Montenegro is a country in southeastern Europe, to the north of Albania with a short coast on the Adriatic Sea. Although rather small in area, Montenegro boasts stunning mountainous landscapes, a dramatic coastline, historic monuments and beautiful walled towns. The eye-catching town of Kotor features labyrinthine lanes which hide churches and piazzas around every corner and it appears even more stunning when illuminated at night. Montenegro’s hilly terrain offers some excellent hiking trails, particularly through the Lovcen national park in the southwest. Reaching the peak of Mt. Lovcen offers you unbeatable views across the stunning landscape, too. From the Montenegrin town of Bar in the south, you can easily sail across the Adriatic Sea to Bari, making it a useful departure point for Italy.